The collaboration between MASUNAGA and Kenzo Takada marks the meeting of two Japanese eyewear heavyweights. 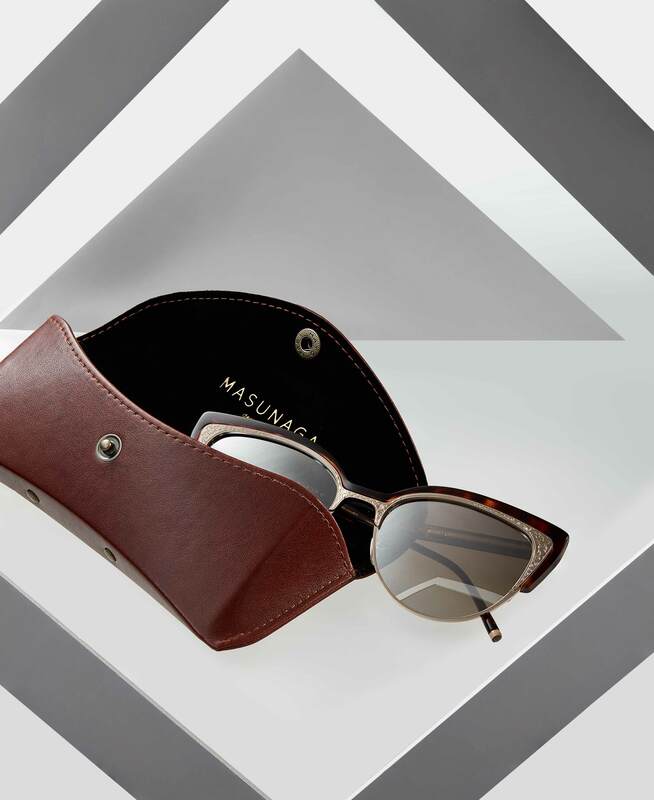 On one hand, MASUNAGA commands over 100 years of expertise as a traditional family business known for high-quality eyewear. On the other, Kenzo Takada has become an international household name since moving from Japan to Paris over 50 years ago to build Kenzo into a global brand. 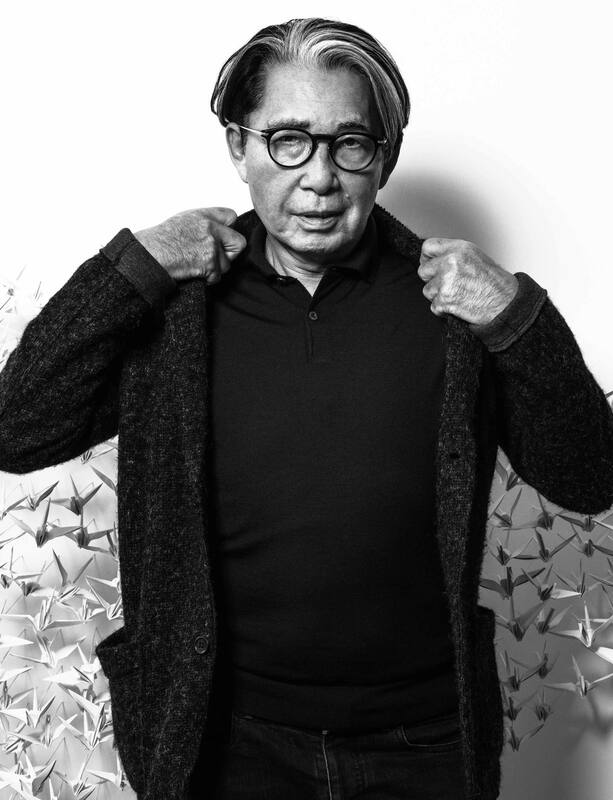 And although he sold his namesake fashion empire almost 20 years ago, Kenzo Takada remains true to his main passion: product design. He has been creating products with his signature touch in a number of segments, for the last four years also including eyewear. His MASUNAGA by Kenzo Takda collection has garnered widespread attention with its pairing of craftsmanship, detailed finishes, and upscale materializations. 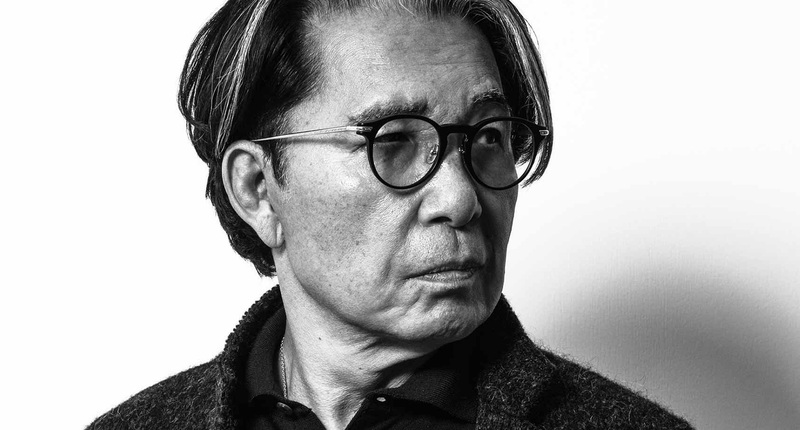 SPECTR met the iconic fashion designer at his Paris studio for a photo shoot and an exclusive look at the latest additions to the MASUNAGA by Kenzo Takada legacy. Mr. Takada, your entire work life was strongly influenced by designing products. Why is design more important than many people might believe? Design is part of everything that surrounds us. Architecture, art, products, food – all that we see and consume requires some kind of design aspects. Would you say that these design aspects change over time? Design has been part of human creativity for centuries, and we keep getting better and better at it with new technologies and strong know-how. To me it is an essential part of life. You spent many years working as a fashion designer. In retrospect, what are your main achievements from this time and what makes designing fashion so unique? I was always interested in working in fashion. Even at a very young age, I knew I wanted to create and design. My main achievement was probably to follow and pursue these dreams. But at the time, fashion design was a rather unusual path for men, right? When I finished high school, boys couldn’t study fashion. It was considered as a woman’s industry in Japan. But about one year later, Bunka Fashion College opened to men and I directly applied, even though my parents were against it. I had to do side jobs to pay for my study, as I lost their support. Living in Japan in the era following WWII was difficult, and it was an era of sobriety. Is that what ultimately brought you to Europe? I got the ambition to move to Europe after reading the fashion magazines of my sisters, which were colorful and looked so positive, and also through movies from Europe and the U.S.
And why did you choose Paris? I pursued my dream by moving to Paris. Not knowing any French, taking the leap to try building a career in France. So you had no doubts? I strongly believe that people should keep a certain faith in their goals, and try to never let them go – even if you have to go through hard periods. In the year 1999, you sold your company Kenzo, but still kept designing quite many products over the following years. Upon leaving LVMH group at the end of 1999, early 2000, I initially wanted to stop working. Just travel and enjoy my life, which I dedicated to work for many years before. But after two years, I quickly realized that I couldn’t live without working and found myself getting bored. So I started to accept collaborating with other brands on designs in a broad range of products. By now the portfolio is rather diverse and ranges from collaborations for the food, hotel, home furnishings, tableware, and cosmetics industries. I get to work with groups that have great know-how and excellent teams. I very much enjoy working around different product segment, and getting to meet talented people. You have now been living in Paris for more than half a century. Does that influence your creative approach? It definitely does. My work probably became much more European than I could expect. I initially went to Paris for six months, and it has been more than 50 years now. Would you say that Paris is still the fashion capital? I believe so. Even if each country has its own influence and impact, Paris remains a central pillar to fashion. What constitutes good design in your opinion? Regardless of products, is there some kind of generalized formula behind it? Design is basically about the harmony between elements. Design needs to make sense and respect a certain identity. I try to blend multicultural aspects and find a story that relates myself to the people that will use the products. 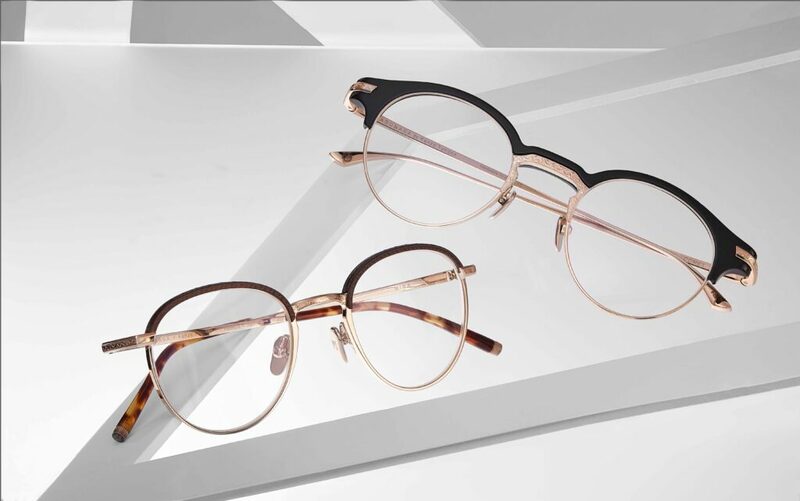 What’s your personal connection to the eyewear segment? I have always loved eyewear, it is a fascinating industry. When you wear glasses for eye correction or for UV protection, it changes the way you look and it becomes an important accessory that defines physical attraction. 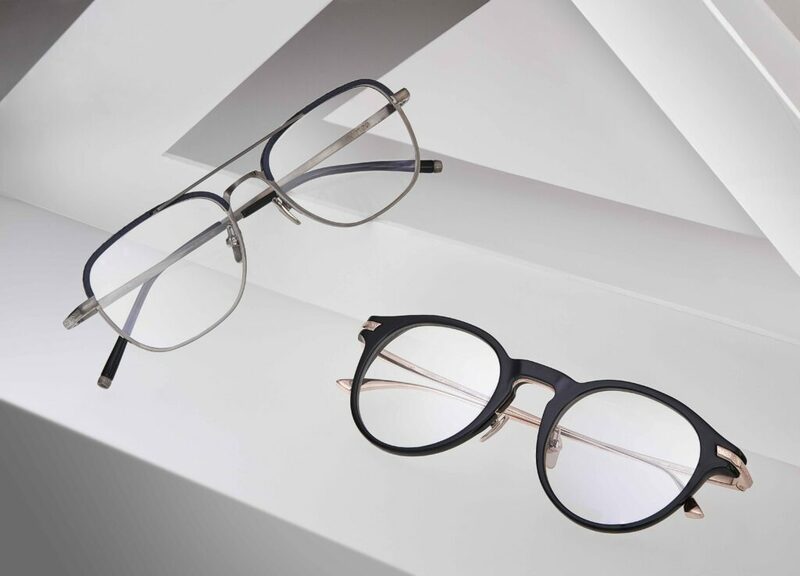 How did the connection to Japanese quality eyewear label MASUNAGA come about? I have been wearing MASUNAGA for many years now. We were able to meet each other through their European distributor, and quickly decided to work together on this collaboration. Who had the idea to collaborate? It happened quite naturally through our meetings. I very much enjoy working with their highly skilled team, and the combination of both my team and theirs has been an excellent experience. I am very proud of the result. Does your shared Japanese heritage play a role in the collaboration? I enjoy working with Japanese firms such as MASUNAGA. I can quickly understand their vision and what they are looking for when we collaborate. MASUNAGA is well recognized for its great history and know-how. Who could refuse to work with such great partner? What do you particularly enjoy about working with MASUNAGA? MASUNAGA is a very detail-oriented company that likes to take its time to create great products. They don’t rush anything and are very thorough. When was the first MASUNAGA designed by Kenzo Takada collection released? Was designing eyewear something completely new that you needed to familiarize yourself with? Absolutely, I am not a specialist. I can only provide ideas and design input. And MASUNAGA was able to teach me about all the technical details and the complexity of realizing such high-quality products. Would you say that there’s connection between your fashion and eyewear design? I try to stay true to myself throughout all my different projects. I follow a certain identity and vision that I try to maintain. Eyewear design is certainly a very different process than fashion. But it remains a product that is wearable, and that become part of someone’s physical appearance. What’s the special task in designing eyewear? It is very meticulous work, extremely detail-oriented. Thanks to MASUNAGA and their great capabilities, we incorporated many details that are hard to see at first sight, that you only notice later on in time. It is very meticulous. Where do you find inspiration for your eyewear designs? I can get my inspirations from all types of sources. I only try not to always follow trends. Directly in the first year of your collaboration, you won the Silmo d’Or Award for the best sunglass design. Were you expecting anything like this? Not at all, I was very surprised when I heard the announcement. I can only thank the entire team around this project. MASUNAGA is well known for its high quality frames. Does this quality standard impede you in your freedom of design? There are definitely certain technical aspects to respect in the process. We also have an identity to maintain. But we both remain very open-minded towards bringing new ideas forward. We frequently discuss how to move forward. You have now launched your fifth joint collection with MASUNAGA. What is the underlying statement? Our collection statement is harmony between different memories. We have mixed styles of eyewear designs from all over the world in various periods with a multitude of details and essences. By adopting a craftsmanship method to implement details and ornaments, we present eyewear at the highest quality in an entirely new style. Which models in the current collection exemplify this approach? For instance the Canopus sunglasses model. It features a rimless mounting system, and the detailed titanium rim is precisely embedded in the plastic front part. The Canopus is a rounded aviator shape with a shield-like look. 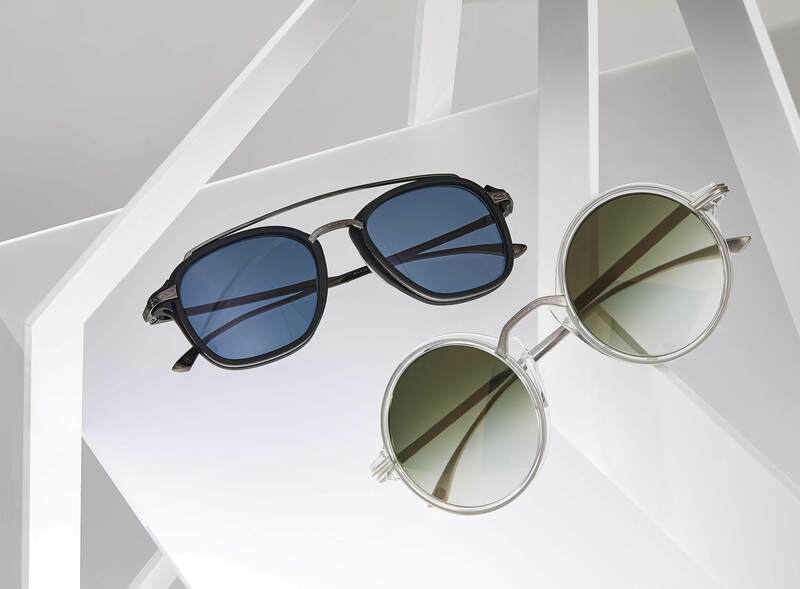 The two-base lenses give the sunglasses a unique and edgy look. Is there a special Kenzo Takada design feature in the collection? Absolutely, yes. MASUNAGA by Kenzo Takada glasses are highly fashionable, ornamented, creative, and innovative. You can feel it by looking at the collection. What are the materials you use in your collection? This collection implements titanium, acetate, and solid 18-karat gold, for instance in the Campanule model. The front design of the frame makes a strong fashion statement. Delicate engraving patterns on the bridge, the bar and the temples are reminiscent of 1920s jewelry details. The temples are fashioned with MASUNAGA’s highly skilled welding technology using pure titanium and solid 18-karat gold. The original rim is designed with the MASUNAGA star motif and Kenzo Takada’s family emblem, the Campanula flower. Your work as a fashion designer has earned you the title “Magician of Color”. In how far does this apply to your new eyewear collection? We are slowly looking to introduce colors, we just need to see how to do that in a harmonious way. What are your favorite styles in the new collection? My favorite is the Calla Lily, our very first women’s sunglasses model. Who do you have in mind as the typical wearer of your sunglasses? I tend to be very democratic in my creative approach. I don’t like to work for a specific kind of person. I am mostly listening to what people tell me, and try to make products that people can enjoy and be proud of. Probably more of the unexpected.